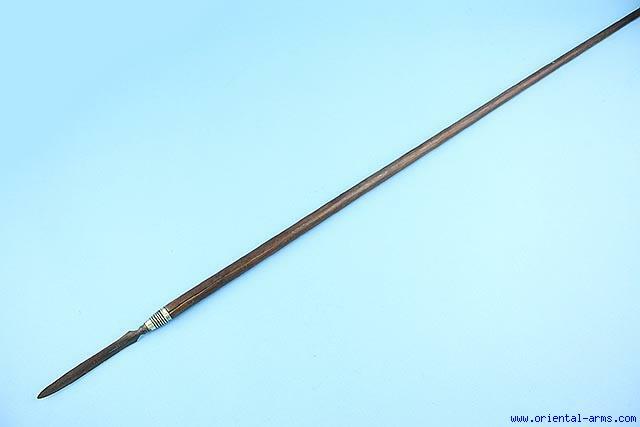 Up for sale is this very good short spear, Indonesia, 19C. 5 1/2 inches blade with a brass collar. Wood haft. Total length 54 inches. Very good condition. Long wood chip at the bottom of the haft. Very Low Price.